Stephen Elop teases a new 'hero' device for the US which will mark the new season of phone announcements! We already heard today that Nokia are doing a bit better on their balance sheet, even if it's not quite a profit, but it seems that their Lumia sales are still growing slowly. The best way to bump sales up is brand new, super shiny phones and that what CEO Stephen Elop dropped a little hint about today. "Later this quarter a new Lumia device is anticipated to have hero status with a leading US carrier... [which will] mark the beginning of a season of new product introductions." 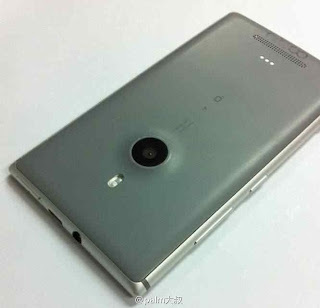 Elop refused to say any more than that, but if we're getting a hero device with a US carrier we expect that this will be the much rumoured Lumia 928! He could be making reference to the aluminium-clad device which supposedly showed up on a Chinese social media site yesterday, which you can see pictured below, or alternatively he might be referring to the often rumoured version of the 808 PureView which is expected to run Windows Phone, both of which people expect to arrive by the end of the year! Perhaps this new generation of devices will help Nokia gain some more traction in the US market which they've seemingly been losing of late! What do you think? Are you excited by these devices? let us know in the comments below!